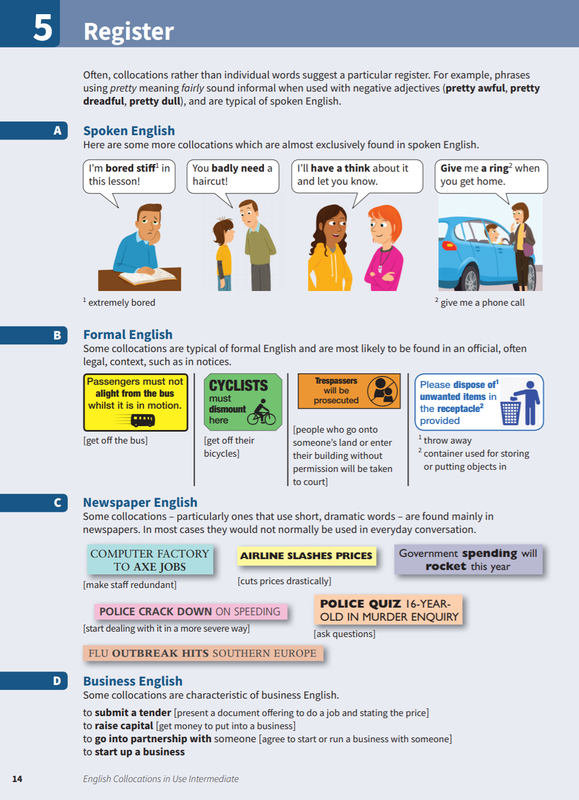 Improve your fluency and sound more natural in English. 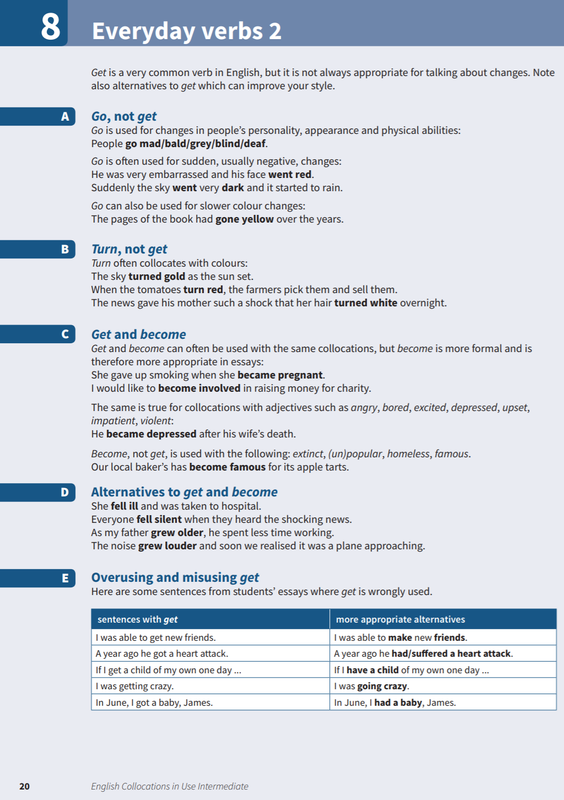 Collocations are combinations of words which frequently appear together. This book contains explanations and practice of English collocations for intermediate-level (B1 to B2) learners of English. Perfect for both self-study and classroom activities. Learn collocations in context, with lots of different topics, including 'Using the Internet' and 'Presentations'. Be confident about what you are learning, thanks to Cambridge research into how English is really spoken and written, and get better at studying by yourself, with study tips and follow-up activities. 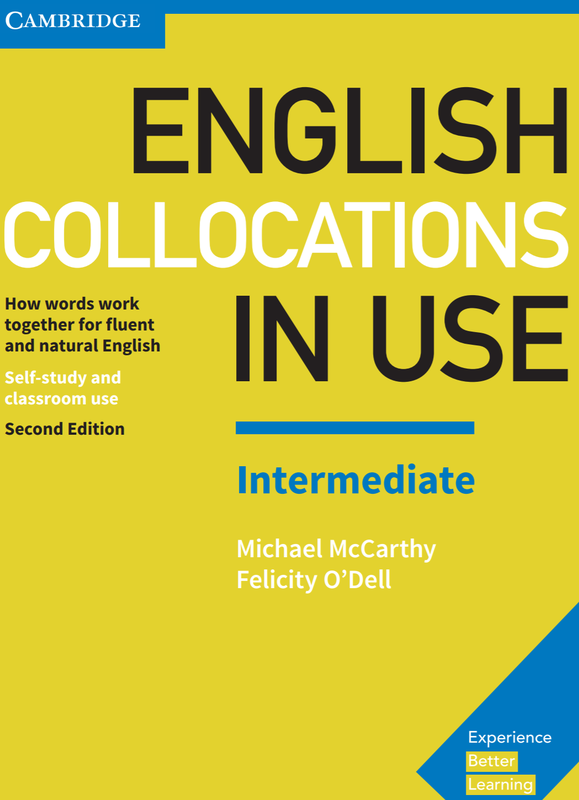 This book is also perfect for preparing for Cambridge exams and IELTS, which often test knowledge of collocations.